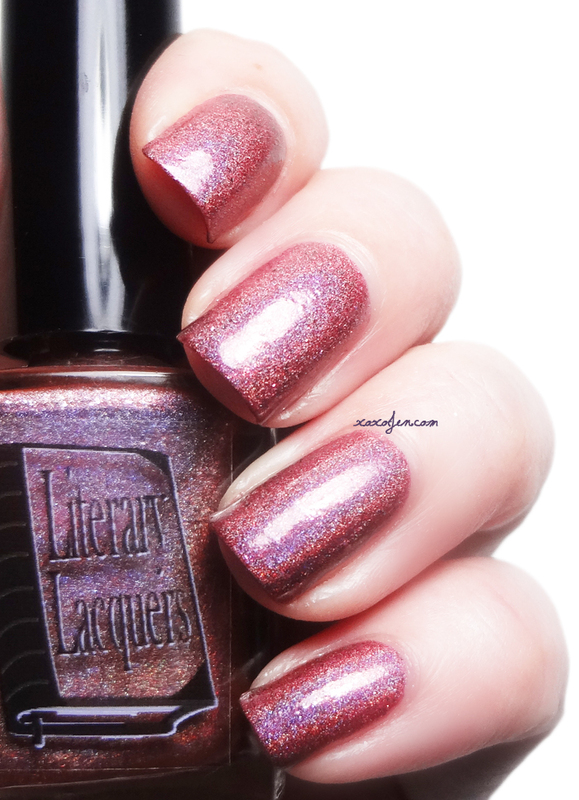 Literary Lacquers has teamed up with Gloss48 to offer another exclusive set! I purchased the first duo that launched and had a good experience with G48. The new duo is a beautiful pair inspired by the Wuthering Heights book. 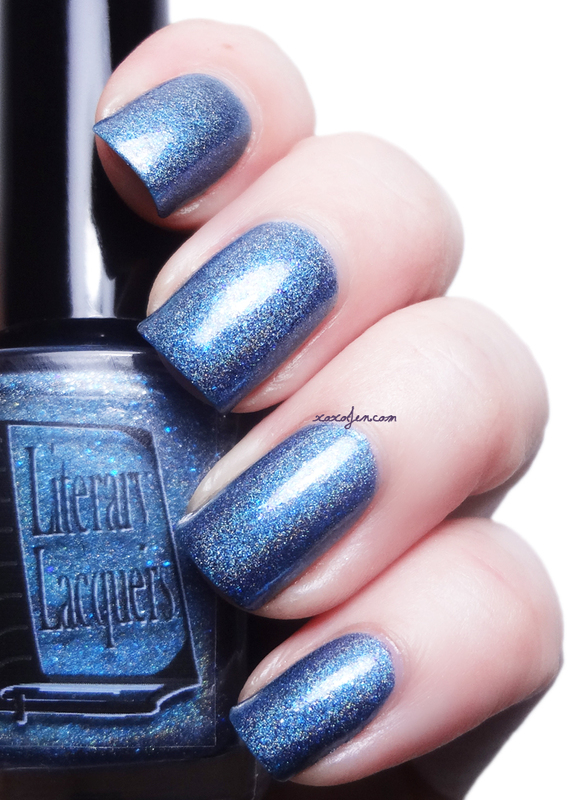 Heathcliff is a dark denim blue colored strong linear holo packed with blue mircoglitter and gunmetal flakies that shimmer and sparkle. 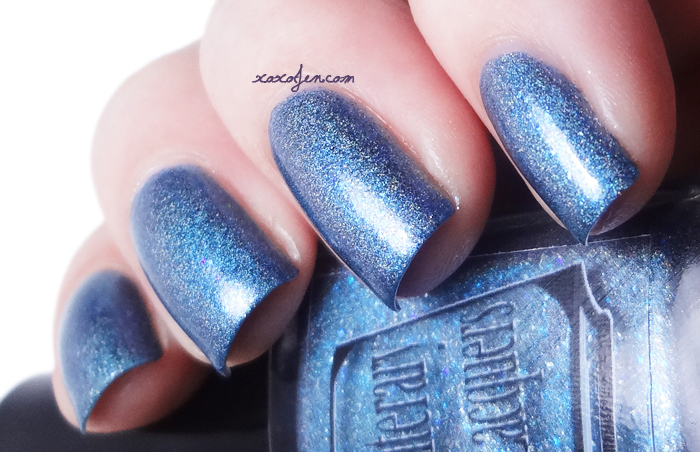 The formula on both was effortless, I used topcoat to ensure a smooth to the touch feel. The duo is launching on 12/3-12/10 at 11am Central and will be on sale for 20% off, along with all the other duos in the Gloss48 shop. Which is your favorite duo? Have you shopped with G48? What a pretty duo this is! Both are nice. Thanks! Amy did a great job on them!